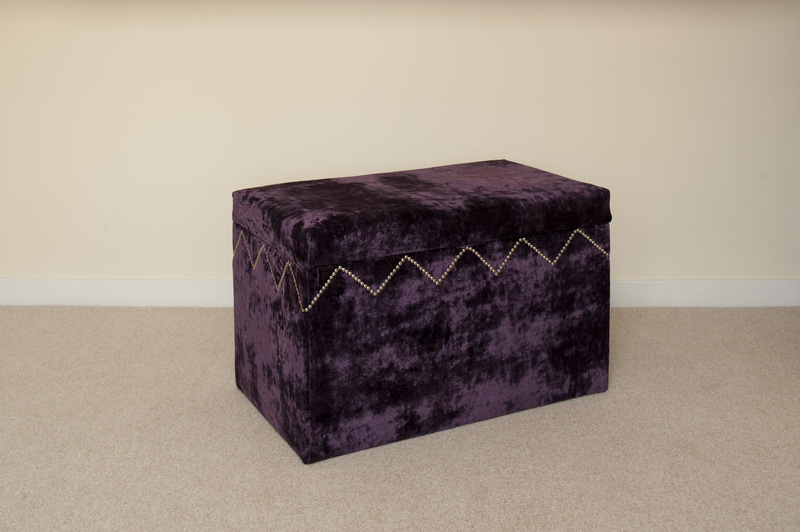 Beautiful ottoman or blanket box in a range of sizes. This contemporary ottoman has a chrome zig zag pattern to front and sides as compliments our chrome studded headboard and our zig zag studded headboard designs. Ideal for storing bed line etc this ottoman has a hardwood frame, solid sides and is fully lined.